I know we try to be positive each and every day for our families, but sometimes we wake up on the wrong side of the bed. So to help with that, here’s a reminder to print out and display. 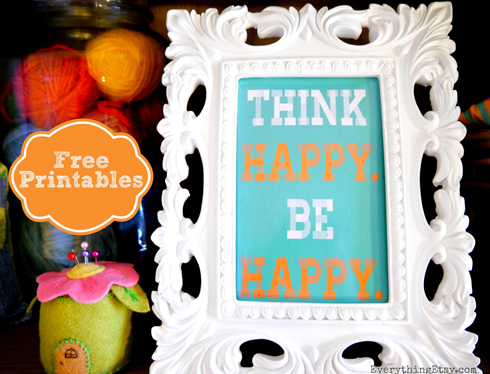 Click here to get your FREE Think Happy Be Happy Printable.